Found carved into ancient artefacts, monuments and standing stones scattered across the north, runes carry stories across thousands of years. 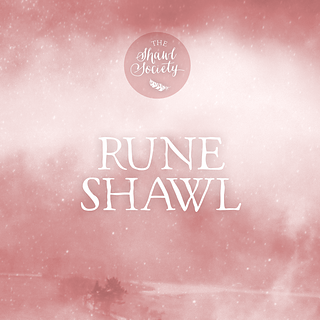 Every rune was much more than a simple letter in an alphabet. Each one was also a symbol of power, revered as magical, used in divination and charms. To inscribe or invoke a rune was to invoke the force for which it stood. In several old languages, the origin of the name “rune” hints at their true purpose. Whether the word is traced back to a Germanic root, Old English, Welsh, or Old Irish Gaelic, the old meanings are evocative. Secret. Whisper. Mystery. Miracle. Intention. 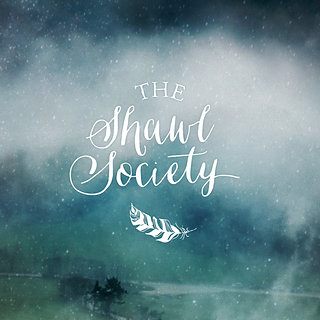 Inspired by such beautiful words and the depths of their hidden meanings, it seemed only fitting that the second season of The Shawl Society should feature a Rune Shawl. 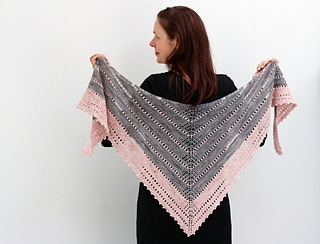 Our fourth shawl has been imbued with a little of that ancient mystery. 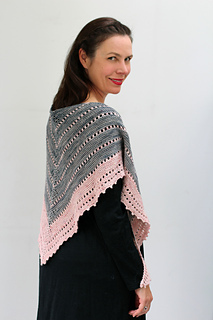 This is a shawl full of subtle detail and secret features. 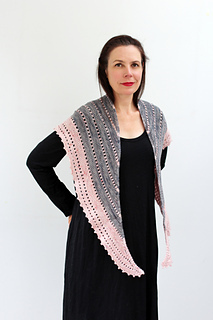 Knit in two colours with a deceptively simple garter and eyelet pattern, there is more to Rune than meets the eye at first glance. 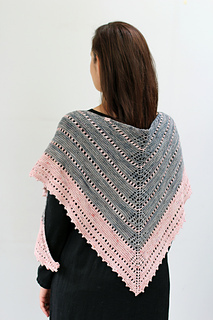 The angular elegance of runic alphabets are reflected in the elongated triangle shape, and the shawl’s increases are hidden in the centre lace motif: there, if you know how, and where to look. 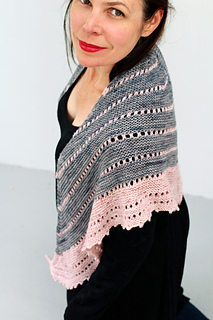 The Rune Shawl is a gorgeous accessory to wear on the days you’d like a little reminder of your own inherent power.